Dr. Glenn Beck has been practicing painless, gentle dentistry for more than 30 years. Having grown up in a family of dentists, including his father and two uncles, his exposure to the field and the positive changes it can make in the lives of others was an inspiration. Dr. Beck enjoys the challenges of creating personalized treatment plans for each patient and finding the solutions that are right for their unique needs based on their clinical requirements, lifestyle, and goals. As a result of the time Dr. Beck spends getting to know each patient, he builds strong connections with them, and over time those connections become friendships. Known for being a compassionate dentist, Dr. Beck listens to and engages with each person, enjoying the conversations and learning from every exchange. The new things he learns every day from his patients are what make him eager to come to the office in the morning. Dr. Beck believes it is important to pursue continuing education. Constant advancements in technology and treatment methodologies makes the dental profession continuously evolving. By staying abreast of the developments in restorative material and dental research, Dr. Beck is able to deliver the highest quality of dental services to his patients. 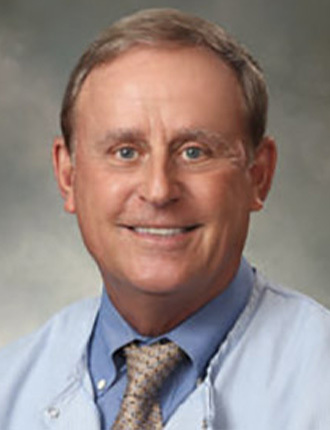 Dr. Beck is a Faculty Club Member of the prestigious Spear Institute for Advanced Dental Education in Scottsdale, AZ, as well as a member of several local and regional study clubs. He also participates in multiple continuing education courses throughout the year. Dr. Beck is a native of Tallahassee. 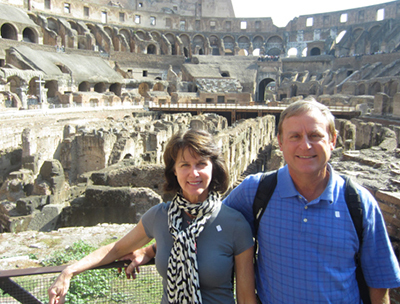 Along with his wife and practice partner, Dr. Marci Beck, he’s raised their three children in the city. Their children are: Amelia, David, and Dr. Brian Beck who also practices dentistry at Smiles by Beck. Time with his family is important to Dr. Beck, as is being outdoors and participating in sporting activities. His current hobbies include golf and tennis, boating, hiking, biking, scuba diving, and yoga. Delving into a good book is also enjoyed. Giving back to the community is a part of Dr. Beck’s identity. The practice sponsors an annual scholarship for dental hygiene and dental assistant students at the local community college. The practice also supports many charities in the community, and over the years has mentored countless pre-dental students, showing them how a practice operates and giving them a sense of what to expect when they enter the profession.